Why Does My Hermit Crab Need a Shell? When it comes to hermit crabs, their bodies are very fragile — possibly even more delicate than a wine glass. Unlike their relatives in the animal kingdom, hermit crabs have a soft abdomen that’s as thin as paper. When out in the wild, hermit crabs endure a series of events that can harm their bodies such as predators and sharp objects, to name a few. Since hermit crabs lack protection (or a shield) from these possible elements, they must find the means to stay protected — and that’s the reason why they need a shell. 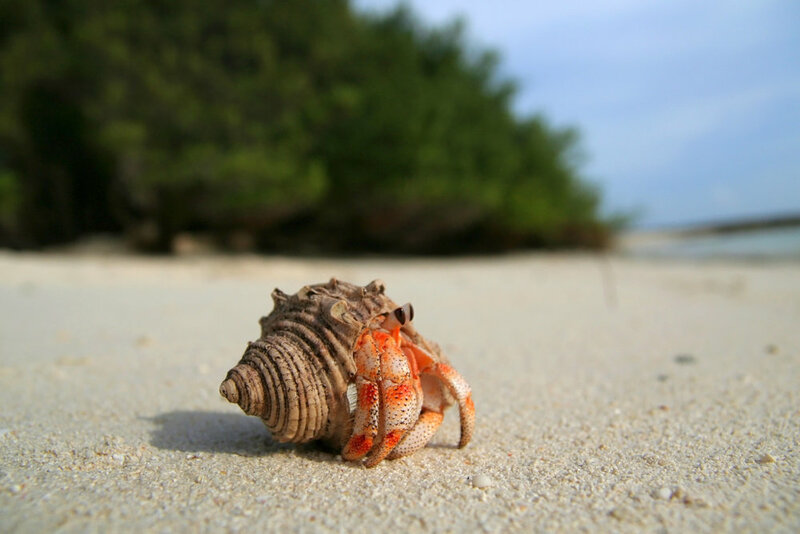 Believe it or not, hermit crabs need to acquire a shell for protection. If a wild hermit crab is left without a shell, then it will be a long and dangerous road for the little creature. Despite what some may think, wild hermit crabs seek protection with abandoned shells from larger creatures, such as a sea snail. Although it may seem like the hermit crab is stealing the shell, they’re actually borrowing it — since eventually they’ll outgrow and abandon it themselves. When it comes to domestic hermit crabs, they’ll already have a shell of their own. Although they won’t brace the elements like wild hermit crabs, these little creatures still need a shell to feel right at home. If you’re looking for a great little pet to have at your home, then a hermit crab will be a perfect choice! Simple to take care of, this little creature will be a pure joy to have! Unlike wild hermit crabs who need to find new shells from time-to-time, your domestic hermit crab will come equipped with their own unique shell. In addition, your hermit crab won’t have to brace the elements of a traditional hermit crab and will be the most memorable pet in your lifetime! Are you thinking of adding a hermit crab to your family? Call our Mineola store to what hermit crabs we have available — and to stock up on pet supplies for your new pet, too! You can also follow us on social media for parrot, exotic bird, and fish care tips & tricks! Why Does My Turtle's Tank Smell? Do you Know These Hamster Facts?